Penny Anderson Associates Ltd. (PAA) has a team of aquatic ecologists and hydrologists specialising in water quality monitoring. 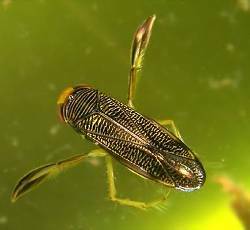 We are experienced in sampling and identifying freshwater invertebrate assemblages to provide a longer-term record of water quality. We also regularly use the results of chemical analyses to interpret the ‘health’ of waterbodies. Each approach, used alone or in combination, enable us to provide expert advice to clients on water quality, pollution issues and freshwater ecology. Britain has a large network of watercourse resources essential to industry, agriculture, wildlife and they provide an invaluable public amenity. The WFD aims to ensure that the water environment is fit for purpose and can continue to meet the often conflicting demands that we make of our water resource. At the core of the WFD is the objective of obtaining ‘good ecological status’ and ‘good chemical status’ for surface waterbodies and sets a target of achieving good status by 2015. The Directive identifies Biological Quality Elements that are used to classify the ecological status. Status is also classified on the basis of the hydromorphological, chemical and physico-chemical elements that support the biological elements. River Basin Management Plans have been prepared under the WFD that set out the actions proposed to meet the 2015 objectives. Any development proposal or scheme that has the potential to affect the water environment and possibly prevent the objectives of the WFD being achieved will require a WFD compliance assessment. This can take a number of forms. The assessment can be based on expert knowledge, desk-based reviews of existing reports, looking at the history of the watercourse (Historical Trend Analysis), field assessments, surveys and modelling exercises. A single method or elements of a number of methods can be used, provided they can adequately assess the potential impact to the satisfaction of the Environment Agency. Ecological Impact Assessment and meeting planning conditions. Many of the larger projects e.g. wind farms, roads and airports, are conditioned provided there is water quality monitoring. Most often this begins prior to the development to establish a baseline, continues during construction and afterwards as part of operational monitoring. PAA has experience in designing and installing surface and groundwater monitoring networks, using remote data acquisition techniques and auto-sampling where appropriate. Pollution events and restoration. We have conducted ecological surveys and chemical testing following pollution incidents where receiving surface waters and groundwater have been affected. Ecological surveys enable an assessment of the impact on wildlife. The chemistry of water samples can be analysed in the PAA and AKAS accredited laboratories, which combined with the ecological assessments can be used to establish the nature of the problem and inform appropriate mitigation strategies. 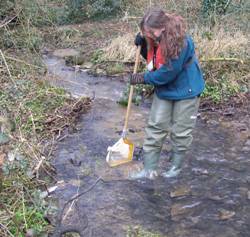 We have experience in monitoring macro-invertebrate communities at UK airports where de-icing chemicals have the potential to pollute streams and we have established monitoring programmes to gauge the recovery of a watercourse following sediment, chemical and hydrocarbon discharges.